Look no further than Holiday Tyvek bands! 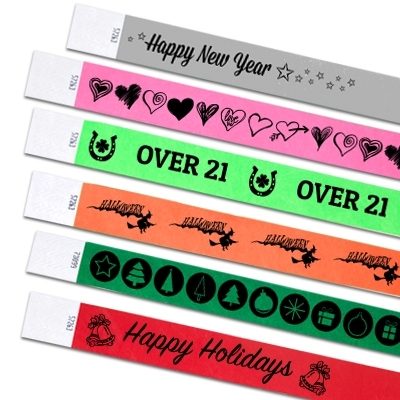 Our stock bands will be a sure hit at your holiday event! Price Includes: Choice of Holiday artwork, choice of band color. Ten wristbands per sheet.